Susan Eveline Ames, nine-years-old, was often tardy. In particular, Susie wasn’t fond of going to meeting, something her mother tried vainly to cure her of. On this Sunday in 1851, Susie dawdled and missed the carriage, so to speak. The family left for the morning service without her. Evelina clearly saw this as a good punishment for her daughter, but it’s entirely possible that Susie enjoyed staying behind. Evelina was enjoying the company of her middle son, Oliver (3), today. Like many a modern child, he had brought his clothes home from college to be put “in order” (but not washed – it wasn’t laundry day.) Evelina mended what she could and then the two of them rode south to visit old Mrs. Gilmore and the family on the farm. They found that Alson Gilmore, Evelina’s brother, had been “quite unwell.” He was evidently bed-ridden, which suggests that their Thanksgiving had been less celebratory than the Ames’s. Unlike the shovel laborers in the village, Alson did work that didn’t follow a schedule set by a bell. He labored according to the demands of the season, weather and livestock. How had he managed to run his farm this past week when he was too ill to work? Most likely his fifteen-year-old son, Francis, took over responsibility for any livestock. 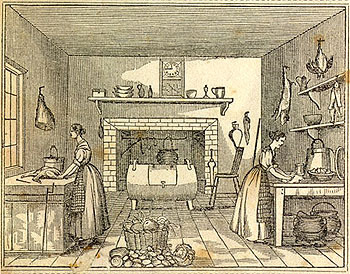 And if the Gilmores had any dairy cows, it was typically the women of the house – in this case, daughter Lavinia or wife Henrietta – who would typically have done the milking. Because it was November, and after the harvest, there was otherwise not much work that demanded attention. The Old Farmer’s Almanac, seen above, would have been full of advice for Alson and other farmers. We don’t know if Alson consulted it. (Like Old Oliver Ames, he might have consulted instead an agricultural newspaper called The Massachusetts Ploughman.) 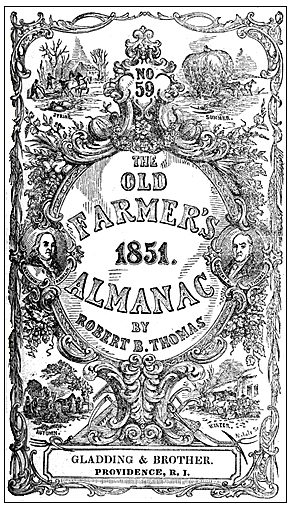 The almanac was just featuring its new “Four Seasons” cover, first used in October of 1851 and still in use in 2014. It was designed by Hammatt Billings, a Boston architect and artist who also did the original illustrations for Uncle Tom’s Cabin, and engraved by Henry Nichols of Cambridge, who name appears on the lower right. The editor was Robert B. Thomas, whose portrait is featured on the right side of the cover, opposite Benjamin Franklin. Like many middle-class families in 1851, the Ames family probably kept at least one clock against a wall or on a mantel. By its hands Evelina could tell that her middle son, Oliver (3), had slept exceedingly late on this morning after Thanksgiving. She might have looked up from her sewing to notice the minutes move by. Just home from his first term at Brown University, Oliver was keeping collegiate hours that were rather more elastic than the factory time by which the days usually ran. Tired from his studies and his journey home, Oliver slept in. Workers at the shovel shop were not accorded that luxury. 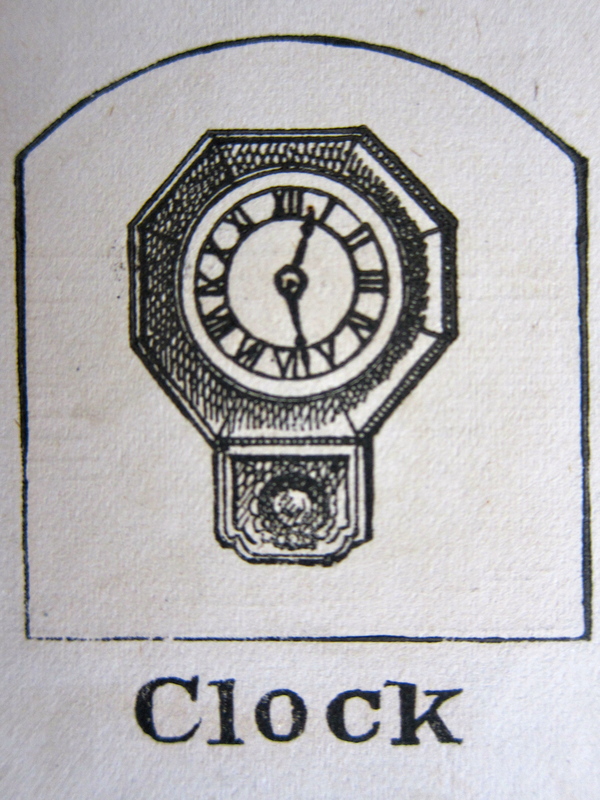 Absent a working clock in the house, how did people in the village and its close environs know what time it was? Pocket watches were popular, certainly, but many in the village wouldn’t have owned one. The young, single immigrant men who lived in the Ames tenement, for instance, and the working families who lived in the factory houses around town needed temporal oversight. A bell at the factory guided them. Winthrop was writing in 1937; in 1952, the Ames factory would close in Easton and move to West Virginia. No curfew bell rings in North Easton today. The kitchen was humming today. Evelina baked pies and cakes to feed her family, now back at the full complement of six at table, as Oliver (3) arrived home from college for the holiday. She baked pies and maybe some side dishes to take to the other part of the house, where they would have Thanksgiving dinner the next day with Old Oliver, Sarah Witherell, and Sarah’s children, George and Emily. Jane McHanna “assisted some,” but was still sick enough to have a visit from the doctor – this time, the Ames’s personal physician, Caleb Swan. In 1851, Thanksgiving was not yet a national holiday. That would happen in 1863, after lobbying by the indefatigable Sarah Josepha Hale convinced Abraham Lincoln to make an institution of a feast that was already celebrated in many – but not all – states. Although the country was suffering from the shock and carnage of a civil war, Lincoln saw good in the idea of a day of gratitude for “fruitful fields and healthful skies”** and, by Executive Order, proclaimed the last Thursday in November as a national Day of Thanksgiving, in perpetuity. The tradition of Thanksgiving evolved from the Puritan practice of holding days of thanksgiving or fasting, according to immediate need. The Puritans were inclined to see God’s influence in every part of their daily lives. When they were good, God would reward them. When they were bad, He would punish them. Depending on how things were going, their ministers were either making sure to thank God or beg for help. In the 17th century, a local congregation could call for a day of thanksgiving or a day of fasting on its own. 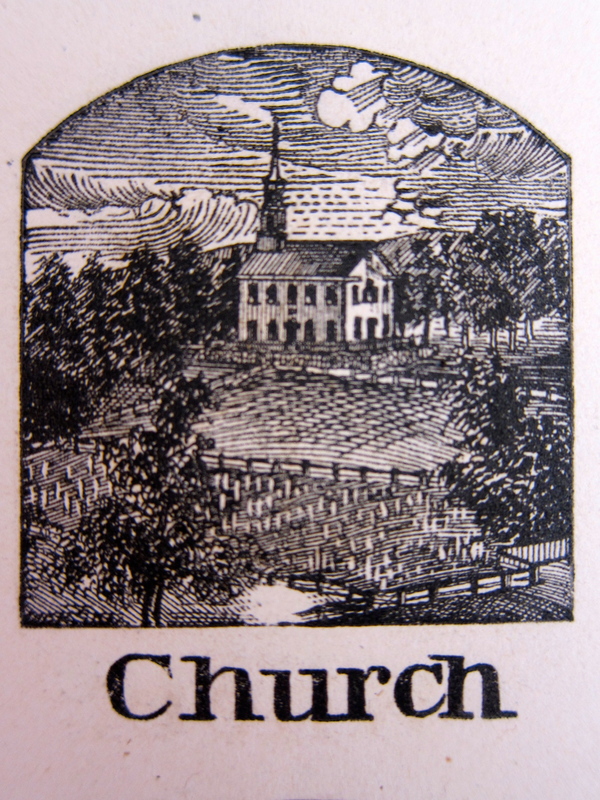 As time went on, the practice became more formal and by the 19th century, governors, at least in New England, would call for a day of fasting in the spring (before the planting) and a day of thanksgiving in the autumn (after the harvest). 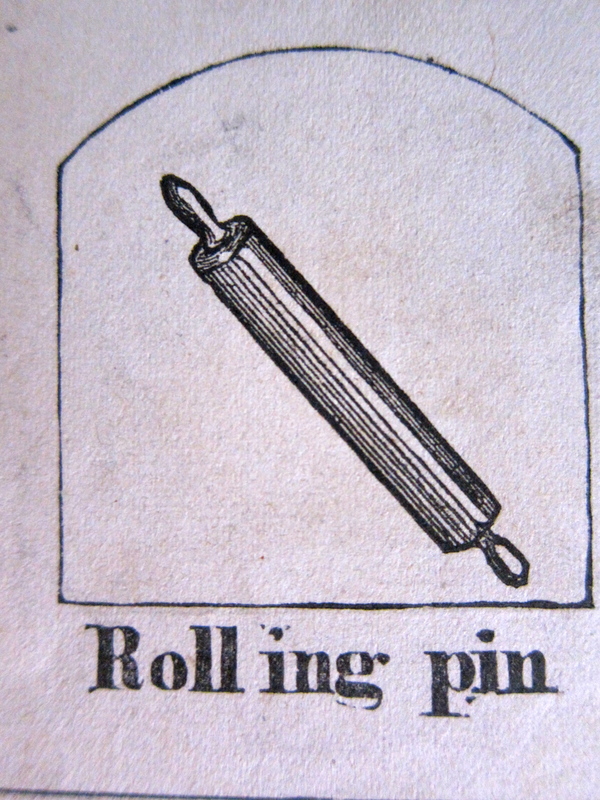 In 1851, this was still how it was done. Toward the end of the 19th century, as immigration began to influence and de-homogenize American culture, some of the old guard became concerned. Like many an established group, its members wanted to preserve their culture and honor traditions such as Thanksgiving. The fourth Thursday in November became more than just a feast of gratitude with family members. It became a post-Civil War symbol of America’s beginning, an annual celebration that would help new immigrants understand how the country was first settled by white Europeans. Teaching about the holiday in schools became a priority and thus, for more than a century, an account of a first Thanksgiving feast between the Pilgrims and the Indians has become an indelible, if occasionally controversial, feature of American history. For Evelina and her family, Thanksgiving was the most important holiday of the year. They would celebrate it with Yankee gusto, which generally meant a gathering of family and a fine feast followed by a game of cards for the old folks and perhaps a dance for the young people. * A wealth of information about Thanksgiving can be found in “Thanksgiving: A Biography” by James W. Baker, New Hampshire, 2009. Family members began to gather in anticipation of Thanksgiving. Fred and Helen Ames came home from their respective schools in Cambridge and Boston, adding animation to the quieter house next door. Surely their parents, Sarah Lothrop and Oliver Ames, Jr., were pleased to see them. Oliver (3), away at school in Providence, was getting ready for his travel home. No one was making merry yet, however. Everyone still had work to do. The new girl, Mary, did some ironing, evidently better than Jane McHanna usually did. Jane herself, still recovering from an illness that had laid her low for almost ten days, was able to wash dishes and help out a bit. Evelina, after supervising Mary and Jane, was finally freed up to sew and socialize. She was in a happier state of mind. “About sunsett,” it began to snow. More bad news for the disintegrating Whigs. In Easton,“there was a Town meeting for the chois of representative and the freesoil + Democratic parties united + chose a locofoco Galon Silvester”. The new representative from Bristol County for the General Court of Massachusetts was Galen Sylvester, a carpenter and former selectman. Originally from Vermont, Sylvester was a member of the Locofoco faction of the Democrats, which had developed in the 1840s in protest against Tammany Hall in New York City. Their hero was Andrew Jackson. Their name came from some friction matches they once used to light candles to illuminate an evening meeting that had been interrupted when Tammany men turned off the gas lights on them. 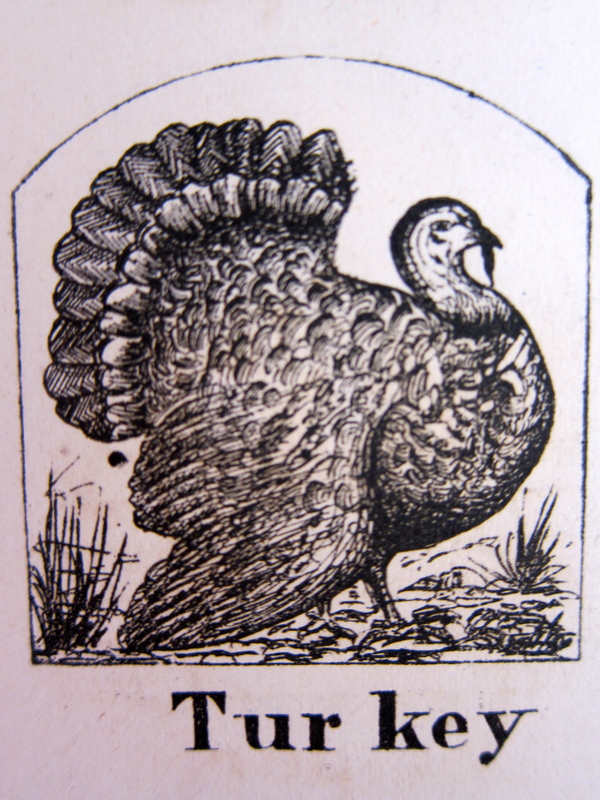 By 1851, the label had become somewhat derogatory. Ralph Waldo Emerson said of them, ” “The new race is stiff, heady, and rebellious; they are fanatics in freedom; they hate tolls, taxes, turnpikes, banks, hierarchies, governors, yea, almost laws.”** By the middle of the 1850s, the “Los” were no longer a viable political group. Having gotten past last night’s quarrel with Oakes, Evelina seemed to sympathize with her husband and the other Whigs over their loss. But she was again focused on her domestic responsibilities, keeping her eye on a new servant, Mary, who had done a good job with the laundry. Evelina was also minding the work of a carpenter named Frank Heath, who was building or repairing a porch.